WBE Canada is a non-profit organization, led by Corporate Members, that is opening doors for Canadian women-owned businesses to supply chains across North America. Our mandate is to build connections between Canadian women-owned businesses and corporate/government buyers across North America. Our work is based around five core areas. WBE Canada certifies Canadian firms that are at least 51% owned, managed and controlled by women and introduces them to opportunities with corporations. WBE Canada has the largest database of Canadian women-owned businesses. 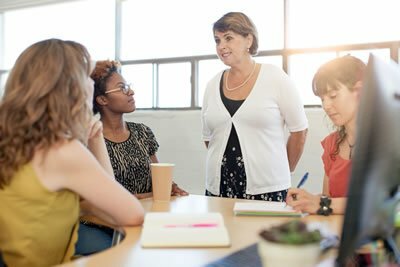 In addition to certification, WBE Canada delivers education, training, coaching and mentoring programs that ramp up the capacity of women business owners to bid successfully on large procurement opportunities. This support contributes to significant growth for women-owned businesses. The organization also facilitates the building of strong networks for women, by connecting them both with procurement officers of top corporations and with other certified firms in order to enhance their bidding capacity. 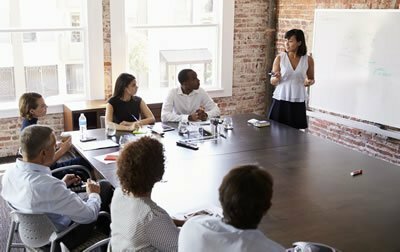 WBE Canada also provides tools and programs to help its corporate members develop supplier diversity initiatives in their organizations. WBE Canada enables connections between Canadian women-owned businesses and corporate/government buyers through the database, events, networking opportunities and more. WBE Canada partners with governments, women’s business centres and other women-centric communities across Canada. We are proud to have strong partners across a variety of industries, geographical areas and interests. We collaborate with individuals and organizations who are passionate about empowering and supporting the success of Women Business Enterprises (WBEs). Empowered women-owned businesses with equal access within corporate and public procurement. To advance economic growth across Canada through certification, promotion and development of women-owned businesses. WBE Canada is the bridge between corporate and public procurement and Canadian Women Business Enterprises (WBEs). As a quality third-party certifier of businesses owned, managed, and controlled by women, we have been connecting them to corporate supply chains since 2009. We focus on building relationships, facilitating knowledge transfer and driving economic growth.